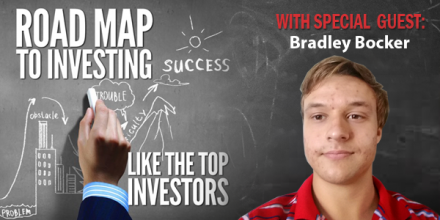 Join your host, Jim Ingersoll, for this week’s Real Estate Success Podcast as we discuss how 20-year old Bradley Bocker is investing full time in real estate. Bradley Bocker was introduced to real estate by his mom and stepdad, who are full-time investors, after they encouraged him to read “The Richest Man In Babylon”. Currently, Bradley is flipping houses but has aspirations to move into the realm of private notes.